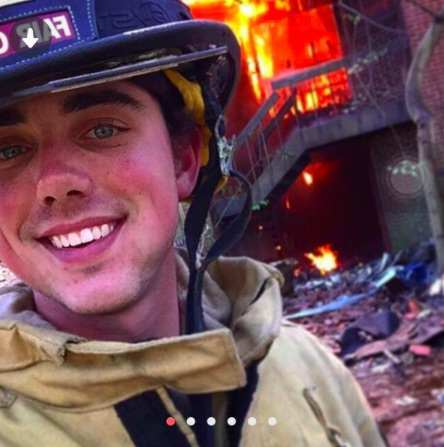 A firefighter in the U.S has gone viral after using a photo of himself at work – in front of a live fire – as his Tinder profile. The guy in question is 21-year-old Jonathan who – according to said Tinder profile – works for the Fair Grove Fire Department. His profile also says he’s a fan of offshore fishing and yep, firefighting. But it wasn’t until Twitter user @HeyNikkkay posted a screenshot of the profile picture and posed the question: “bruh u gonna put that fire out.” that people seemed to notice the slight issue, reports UK Complex. According to Tinder, firefighters are one of the top five most-swiped professions for men, however it’s a pretty safe bet that although firemen definitely have a rugged, heroic charm, the majority of people would rather they dealt with the fire at hand rather than taking selfies with it. Since then, @HeyNikkkay has apologised to Jonathan. But it seems it may have been too little too late with one of her tweets suggesting that poor Jonathon may have lost his job!